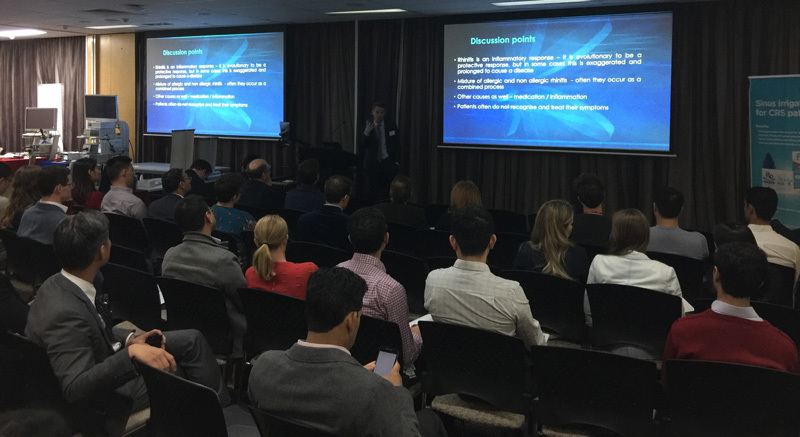 The Sydney Sinus Surgery course is one of the longest running sino-nasal disorder courses in the world. It was established by Prof Richard Gallagher in 1998 and is now in its 10th year with Prof Richard Harvey as co-director with Dr Raewyn Campbell. The course has expanded over the years and now encompasses a comprehensive program that runs over 3 days. The lectures include a number of subjects that relate to the medical and surgical management of inflammatory and benign sino-nasal disease. There are two separate anatomy lab sessions with fresh frozen cadaver head specimens. The course is fortunate to have great industry support and the full range of surgical instruments are available to use during the course. There is a live operating session on one morning and the dissection always includes simple sinus work as well as more complex surgery. The course intentionally avoids skullbase pathology and rather focuses on what a general otoloaryngologist and those with more advanced Rhinologic training would utilize in daily practice. The teaching and practice of rhinology has dramatically evolved over the past decade and this course is an excellent opportunity to update both clinical decision making and surgical skills, with a great social program in a fantastic city to visit. Click here to book the 2018 course. 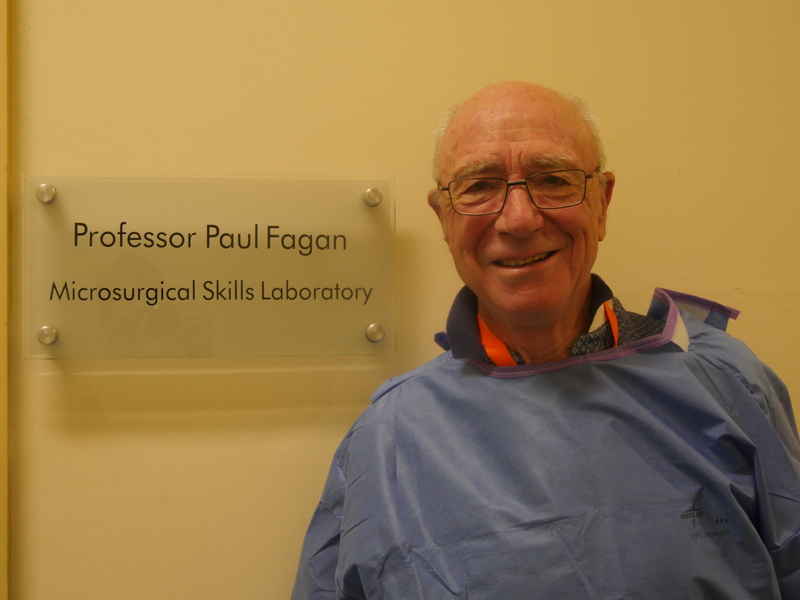 At the opening of the 2017 Temporal Bone Dissection Course the Temporal Bone Laboratory was renamed in honour of Professor Paul Fagan, a pioneer in the field of Otology and Skull Base Surgery here at St Vincent’s Hospital, Sydney Australia. On Friday live surgery demonstrated a translabyrinthine approach to a vestibular schwannoma. The dissectors then commenced their supervised dissection in the lab on Friday afternoon, before heading off to the course dinner. Further dissection was completed on Saturday and Sunday morning with dissectors starting with canalplasty, extending to middle ear exploration and stapedectomy before moving to the mastoid drilling. Cochlear Corporation supplied dummy electrodes to allow practice in cochlear implantation before a labyrinthectomy, exposure of the IAC, jugular bulb, carotid artery and surgical exploration of the cochlear was completed. Lectures in the afternoon on both days highlighting distilled surgical techniques and instructive cases exploring the fundamentals of otologic and neurotologic decision making. The 2018 course is being held from the 14th-16th September. The 2018 Audiology conference with live surgery is being held on the 1st November.